I was asked to write an op-ed by worldirish.com, a news website from Ireland which connects stories and activities of Irish interest from around the world, about the ongoing crisis between South Korea and North Korea. Most importantly, they were interested in the situation here and the international media’s response. 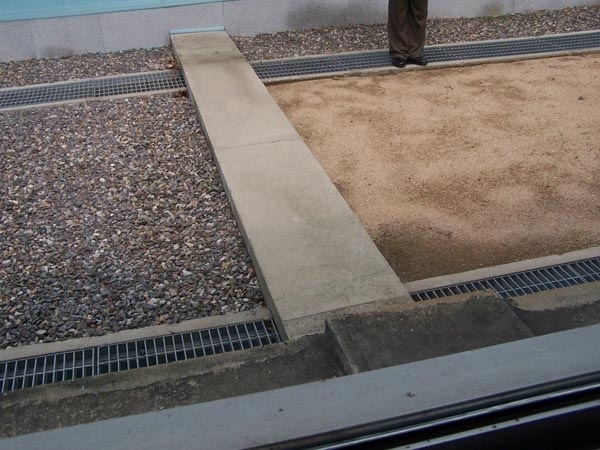 The line which divides North and South Korea at Panmounjeom. While I believe I carry the same opinion as many expats, and even experts here, my biggest concern at the moment is that I am not wrong about what I wrote. I wouldn’t be alone in this regard. There was a US tax article on our site written by a writer outside of Busan Awesome, and we cannot claim whether the tax advice given was legit or not. We claim no responsibility for incorrectly done taxes, and you should definitely consult a tax professional before deciding how to file and how to do your taxes. I believe under US tax law, you do owe something, but I know this is a contentious subject. Gaelic Football is an Irish sport very similar to Australian Rules. It is is played on a rectangular pitch like a soccer pitch with H shaped goalposts much like the goals on a rugby pitch. A goal keeper protects the goal like in soccer. The football can be kicked or “hand-passed” (a hand-pass is a striking motion with a closed fist). The football can also be carried but only for 4 steps. After every four steps the ball must be ‘played’. This means the ball must be either bounced or “solo-ed”. Solo-ing can also be referred to as tapping the ball and is action of dropping the ball onto the foot and kicking it back into the hand. To carry the football over a distance a player must ‘play’ the ball every four sets. Players have as many consecutive solo’s as the like but may not bounce the ball twice in a row. Announcing a new e-book: 500 Korean Sayings - let your iPad do the Korean talking for you! Think of it as 500 Korean phrases if you like - either way, the idea here is a bit different from most other 'learn Korean' books. Take a look at it on iTunes, or keep reading to learn more. So, trains are a great way to travel. Just rock up, no security, as much luggage as you want and a gentle swaying motion as you travel. And I have a ‘thing’ for trains. I like to keep an eye on them…make sure they are running to schedule…maybe even ‘spot’ some interesting ones..and my little interest got a severe workout when I lived across from a train station in Busan. As a Busanite I’m sure you’re aware of the KTX Busan to Seoul express, 300 kms/hour, 2 hours 18 minutes. But here are a few insights which might help you use the train for shorter trips or save a few won. When you travel to Korea it is good to know more about the lifestyle, food, weather, and other information about it first. Here you will find the information you need to know about Korea so you are prepared before you travel. People – The people you will meet in Korea are friendly and willing to help you around if needed. Many are curious about the English language and find it intriguing to watch anyone that is speaking English. Culture – In Korea, they have a unique cuisine that sets them apart from others within the region. There is a modern yet artistic style to the architecture of the buildings. Many Koreans are either Christians or Buddhists, others are influenced by traditional Confucian and traditional Buddhist philosophies. Last Saturday we went to 지시장 to by some fabric. We bumped into a friend there and went out for coffee after we were finished shopping. After getting coffee we decided to go get some dinner as well. Our friend suggested 양꼬치 (yang ggo chi) which is a small kebab of lamb. I’ve had it once before in Seoul when I went to Kyung Hee University, but this was Dan’s first time. The place we went to was close to 주디스태화 and there were tons of similar restaurants nearby. The lamb was really delicious and we ate it with some soju and Chinese beer. After the lamb, we got some shrimp and that was pretty good. I felt a little bad ripping their heads off, but they were so delicious so it was worth it, haha. If you are in Korea, pick up a copy of this month’s 10 Magazine!